Volcanoes National Park Rwanda is where tourists go for Rwanda Gorilla safaris being a home to the rare endangered mountain Gorillas, enjoy Golden Monkey & Gorilla trekking safari in Rwanda, Diana Fossey trials, beautiful scenery and mountain hiking trips in Rwanda. Volcanoes National Park is positioned to the northwest of Rwanda sharing borders with Mgahinga National Park in Uganda and Virunga National Park in Congo which combine to form the Virunga Trans-boundary Collaboration featuring a minimum of 480 mountain gorillas that are listed as critically endangered on the IUCN red list. Volcanoes National Park shelters the Rwandan side of the Virunga Volcanoes with five out of eight sharing the park boundaries namely; Gahinga, Muhabura, Sabyinyo, Karisimbi and Bisoke. Gazetted in the year 1925, the Volcanoes National Park is one of the eldest National Parks on the continent of Africa which has gone through a series of management and administration dating from the Belgian colonial government until it was put under the management of the Rwanda Development Board decades after the Rwandan Independence of 1962. Volcanoes National park gained a popular fame world over following the works of the historical American Primatologist Dian Fossey regarding the mountain gorilla conservation. Dian Fossey established a research station in a saddle between Mount Bisoke and Mount Karisimbi naming it Karisoke in the year 1967. Until her death in 1985, Dian Fossey had done a great job including the mountain gorilla habituation and making the entire world aware that these precious species were living in a fragile ecosystem and were under a big threat which in turn invoked considerable conservation efforts that have continued up to today. Besides being popular for Mountain gorillas, Volcanoes National Park also shelters other fauna including golden monkeys which are also listed as endangered on the IUCN red list, the spotted hyena, bushbuck, black-fronted duiker and buffalo. The 178 species of birds thrive in the park. 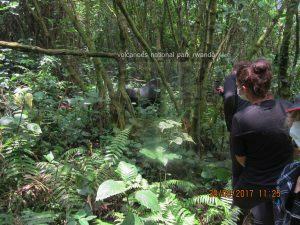 The park features impressive flora with the lush tropical forest on the lower slopes, the Bamboo at the medium altitude while the upper layers of the mountains like Karisimbi which is the tallest in Rwanda feature typical montane vegetation. The mountain gorillas are noted to be descendants of Old World Monkey and apes which thrived in the parts of Africa and Arabia at the onset of Oligocene epoch (34-24 million years ago). The Gorillas are believed to be featuring a similar ancestral origin with humans and the Chimpanzees with the separation thought to have occurred about 9 million years ago with Procunsul Africanus believed to be the earliest gorilla relative. The Mountain gorillas are noted to have split with their eastern low land counter parts about 400,000 years past while these two are believed to have disintegrated from the western lowland counterparts about 2 million years past. The Mountain gorillas which are noted to be thriving in Volcanoes National Park largely feed on vegetation and rarely on insects. These gentle giants are the most powerful of all apes with a mature gorilla weighing over 275kg. The Susa – A family features 28 members with 3 Silverbacks. The Susa A gorilla group is noted to have been the largest of all habituated gorilla families in Volcanoes with 42 members and its strength in terms of size attracted the interest of Dian Fossey. This gorilla group which derives its name from River Susa later split to form two groups. Susa A now has two young gorillas Byishimo and Impano which are so playful making the group exciting to explore on Rwanda gorilla safaris. The Susa B gorilla group split from the original Susa A and it lives on the upper slopes of Karisimbi Volcano a reason it is also called the Karisimbi group. This gorilla group has fifteen (15) members and an active group to trek suitable for adventure enthusiasts. The Sabyinyo gorilla family features nine (9) individuals with two (2) Silverbacks. 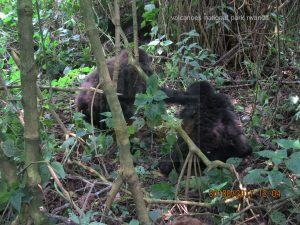 It is an easy to trek gorilla family thriving on the lower slopes of Gahinga and Sabyinyo Volcanoes. The dominant Silverback is called Guhonda. 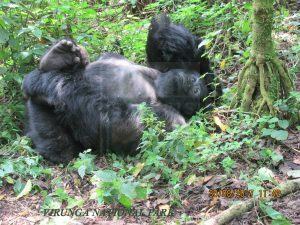 Amahoro literally translates into peace and features the dominant silverback called Ubumwe with a count of 17 members. The Amahoro gorilla group thrives at a relatively raised altitude presenting a steep climb. The Agashya gorilla family initially held the name Group 13 because it had thirteen (13) members at the time of habituation. The Agashya apparently features 25 gorilla members and group’s silverback is called the Agashya which has built considerable reputation overtime of his dedication to family protection. Agashya is noted to have succeeded Nyakairima. 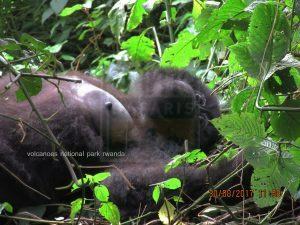 Kwitonda gorilla group features eighteen (18) members with 2 silverbacks. 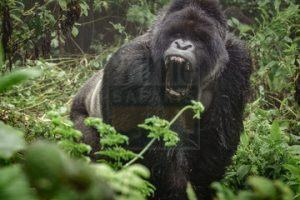 Kwitonda gorilla group is fond of crossing to the neighbouring Democratic Republic of Congo and it is named after its main Silverback Kwitonda. Umubano gorilla group split from the Amahoro group and its Silverback is called Charles. The group features nine (9) members with one (1) silverback. 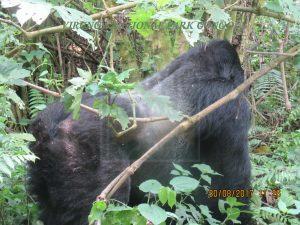 The Hirwa gorilla group has twelve (12) members with (1) silverback. A range of individuals from Sabyinyo and Group 13 came together and formed this family. 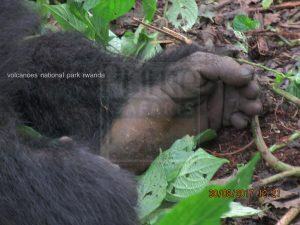 It was opened up for gorilla trekking safaris in Rwanda in the year 2006. The Ugenda Gorilla Group dwells in the Karisimbi region and has eleven (11) gorilla members with 2 Silverbacks. The gorilla group is fond of moving from place to place – the behaviour that forms its naming as Ugenda literally translating as being on the move. Bwenge gorilla group features eleven (11) members with 1 silverback. 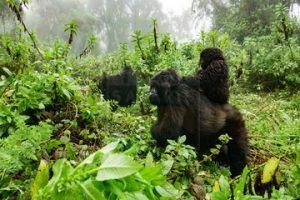 The gorilla family thrives in the higher slopes of Karisimbi Volcano with Bwenge being the main silverback following the group establishment in 2007. This family has a horrific history where six (6) of its infants were lost. 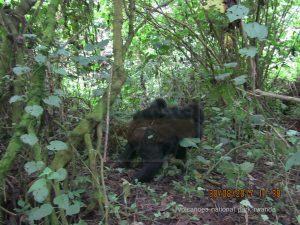 Considering its dwelling altitude, Bwenge family is among the active gorilla groups to track. Apart from the critically endangered Mountain gorillas, there are other fauna species including golden Monkeys scientifically referred to as Cercopithecus mitis kandti another species of endangered apes thriving in the Virunga landscape globally. Others include; black-fronted duiker (Cephalophus niger), bushbuck (Tragelaphus scriptus), buffalo (Syncerus caffer) and Spotted Hyena (Crocuta crocuta). The forest elephants also exist though they are hardly encountered. Volcanoes National Park features 178 species of birds of which sixteen (16) sub species are limited to the mountains of Virunga and Rwenzori Mountains. Among other bird species encountered in Volcanoes National Park include; dusky crimson-wing, Archer’s ground robin, the francolins, Rwenzori double collared sunbird, red-faced woodland warbler, Rwenzori turaco, collared apalis, Rwenzori batis and the strange weaver. Volcanoes National Park has five out of the eight Virunga Volcanoes that comprise the Virunga massif presenting remarkable scenic view worth exploring. These mountains include the Karisimbi Mountain which is also the highest in Rwanda rising to (4507m), Mount Bisoke (3711m), Gahinga (3474m), Muhabura (4127m) and Sabyinyo (3634m). The mountain slopes feature lush vegetation which combines with the towering peaks to generate astonishing views for any traveller on safari in Rwanda. The gorilla trekking activity in Volcanoes National Park starts at 8am from the Kinigi Park headquarters with allocation of gorilla groups and briefing. Before 8am, there is a traditional dance group performing every morning at the station at a zero cost though it would be appropriate to give a donation. 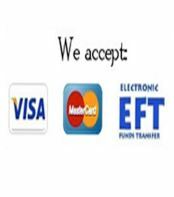 The trekking activity lasts 2 – 8 hours and one require a permit which is booked in advance if he / she is to participate in the activity. The gorilla trekking permit in Rwanda costs $750 per person and the minimum age for gorilla trekking is fifteen (15) years. 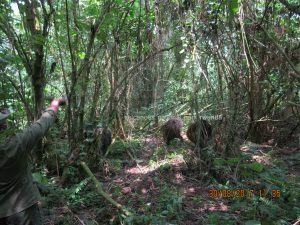 The golden Monkey tracking encounter starts at 7am and lasts about 4 hours. The activity also starts at Kinigi Park headquarters and a drive is made before reaching the trial head. The golden monkeys dwell in the Bamboo forest on the slopes of Mount Sabyinyo and their glittering golden patch makes them unique and impressive to explore while on safari in Rwanda. The golden Monkey tracking costs $100 per person. The Volcanoes National Park features 178 bird species of which 16 subspecies are limited to Rwenzori and Virunga Mountains presenting good possibilities of birding experience. The Birding activity in Volcanoes National Park offers possibilities of exploring Rwenzori turaco, dusky crimson-wing, Archer’s ground robin, francolins, Rwenzori double collared sunbird, red-faced woodland warbler, strange weaver, collared apalis and Rwenzori batis. Mount Bisoke rises to 3,711m and is one of the eight Virunga Volcanoes. The hike to Bisoke Volcanoes starts at 7am and involves a drive to the trail head. 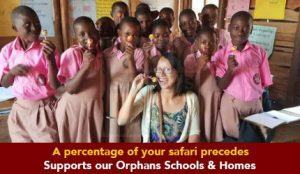 The hike takes 7 hours round trip presenting good views of impressive flora and Lake Ngezi. The climb to Bisoke Volcano is not very challenging which makes it suitable for even first-time climbers. Dian Fossey was a famous American Primatologist who championed the works of Mountain gorilla conservation in the Virunga massif following her formal establishment in 1967 at Karisoke research station. Her grave is at Karisoke between Mount Bisoke and Mount Karisimbi and her favourite Silverback Digit also lie close to her tomb. The hike to Dian Fossey hike lasts 4 hours and is a historical and ethical tour to commemorate one of the greatest conservationists that the world has ever had. Musaze Caves are historical geological features which were created over 65million years ago by the lava flow from the Bisoke and Sabyinyo Volcanoes. The 1.25-mile caves feature counts of bats inside and their exploration can take about 2 hours in the company of an armed personnel. The caves served a hiding ground in times of war as well as storage for the supplies. The Musaze Caves walk is ideally in the afternoon following a gorilla trek or any other morning activity in the Volcanoes National Park. This is a low category Luxury accommodation 15 minutes drive to Volcanoes National Park. Sabyinyo Silverback Lodge is a top notch luxury accommodation facility on the margin of Volcanoes National Park. Accommodation is presented in Six (6) Cottages, Two (2) suites and one (1) family cottage with two independent en suite rooms sharing veranda. Virunga Lodge is also a top notch luxury facility on the margin of Volcanoes National Park and accommodation is presented in ten (10) Stone Bandas configured as two (2) deluxe rooms, four (4) double rooms and four (4) twins. Wi-Fi in the main lodge building. is an upmarket/luxury accommodation establishment positioned with in 1 hour transfer from the Volcanoes Park Headquarters. Accommodation is provided in 8 chalets that are spacious with private veranda to offer good scenic views of the area. Le Bambou Gorilla Lodge is also a midrange safari lodge establishment located in Kinigi close to Volcanoes National Park. The lodge is crafted out of eco-friendly materials by local experts offering it a true blend of the ecosystem. 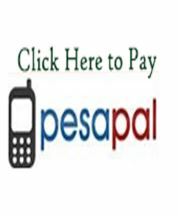 Muhabura Hotel is a good budget establishment presenting accommodation in 30 rooms configured as Singles, Twins and Doubles. Out of the 30 rooms, there are 6 spacious apartments.